Lt. Col. Malin, has served as a military Chaplin with the Mississippi Army National Guard for over twenty years. In 2012 he was selected to serve as the Mississippi National Guard State Chaplain, the state's highest Chaplin appointment. As a Chaplain, Don has served two tours of duty in the Middle East. His experiences serving in Iraq and Afghanistan have provided him firsthand knowledge of the challenges and cost to our military personnel serving in combat duty. More importantly, it has given Don an understanding of the difficult struggles faced by many of our service men and women upon their return to the States. Over thirty years of military service has also brought Don into contact with a great deal of diversity causing him to develop an interest in a wide range of cultural issues. Over the years, he has been particularly interested in those related to shifts in spirituality that have resulted in a growing fascination with occultism and beliefs and practices associated with metaphysics, or the New Age Movement. Don has also served in a number of capacities in the Church and is an ordained minister in the Presbyterian Church in America. His work experience includes: Periodicals Assistant and Public Service Assistant in the Reformed Theological Seminary library and the Belhaven College Library, instructor at Hillcrest and Covenant Christian Schools, and Global War on Terror Outreach Technician for the Department of Veterans Affairs. For a number of years, Don also led an active ministry in Mississippi providing training and writing about new religious movements. Much of his career has been spent in educating, training, and counseling others in a diversity of fields related to their cultural environs. Don is a graduate of New Mexico State University (B.A. in Philosophy); Birmingham Theological Seminary (Masters of Religious Education); Reformed Theological Seminary (Master of Divinity). 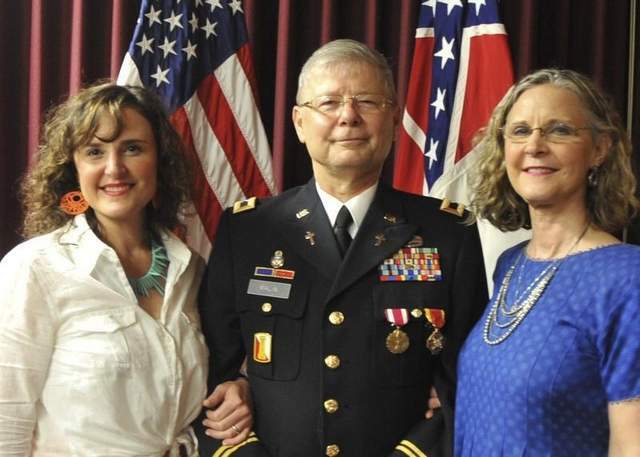 CrossSword's Executive Director Don Malin Retires from Mississippi National Guard After Serving 33 Years as a Chaplain. We appreciate the service that Colonel Malin and so many others have given our country and are grateful for the sacrifice that they and their families have made.